Medical personnel, residents, administrators and patients keep hospitals and medical offices busy. An average local painter can easily disrupt your medical facility operations and the daily routines of staff and patients. 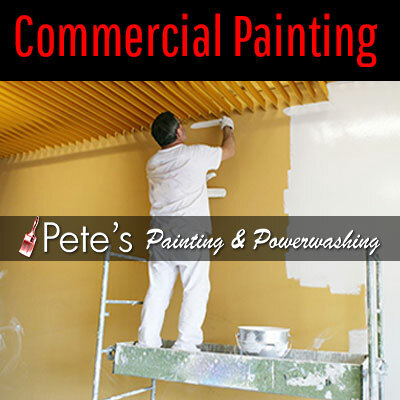 You need to prevent this from happening by hiring the services of professional commercial painters at Pete’s Professional Painting & Power Washing. Don’t worry about paint spilling in your facility or creating a mess. We leave your facility as clean and spotless as we found it! Our painting professionals schedule a meeting with you to plan the project and how to avoid disrupting your personnel and patients. We understand the essence of security and safety in your medical facility. As such, we do not just equip our painting experts with special tools and paints to prevent putting your patients at risk, but also train them on how to take special care and be attentive when working, keeping your facility clean and in order. Your medical facility, hospital or offices require more than just what an average painter can offer you. Call Pete’s Professional Painting & Power Washing for premium painting services that won’t disrupt the operation of your medical facility. Reach us at (281) 541 – 1941!